I am experiencing fluctuations in my cycle now. It is inevitable... I'm on the far side of 45. I am still recording my temperatures every morning, watching the inevitable change that will happen. It makes me profoundly sad. Yeah, I know it is a normal part of life... I don't have a problem with that. I am profoundly sad that I will never feel another butterfly flutter inside. I am sad that I won't ever be able to see my belly grow and ripen with the progression of a baby. I am sad that I won't get kicked in the ribs again... from the inside. I am sad that I won't ever feel those overwhelming surges that propel that baby out of my uterus and into my arms. I am sad that I won't ever ease a baby out again and cuddle them, all covered in birth goo. I'll never see those newborn eyes staring into mine for the first time. Pregnancy and childbirth has been a big part of how I defined myself as a person. I'm good at being pregnant. I'm good at giving birth. I'm good at nurturing babies. Who will I be now that I can't do that? I admit that part of me is ready to move on... my youngest is almost three. 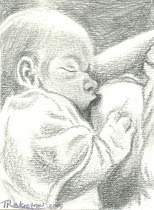 I've been breastfeeding for more than 18 years. That part of me is ready to move from mother to wise woman. But so much of me is not. Guess this is just a part of the journey. I will let my instincts lead me through it, as I have learned to trust them through mothering. A woman in Minnesota, Lynsee, decided to broadcast her birth live on the internet. When I heard she was in labor, I tuned in to see what would happen. Since I hadn't heard much about her plans beforehand, I was surprised to see she was in the hospital. I certainly didn't expect that any hospital would give permission for their procedures to be filmed. She labored well for the most part. She used the shower, the tub and the birth ball. She leaned on her husband. All of these are fabulous techniques for handling labor. Lynsee seemed to be handling the contractions well. 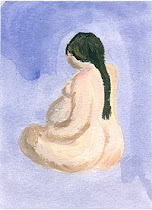 My sound quality was bad, so I could not hear most of what was said, but it seemed that she was doing really well in her quest for a natural birth. Suddenly, she was getting an epidural. I didn't understand why... she was doing so well. I have read the comments of others that when she was in transition and mentioning that she "just couldn't do this anymore" they offered the epidural. This is such a common phrase for women to utter in transition! Why didn't anyone tell her how close she was? Why didn't anyone support her through what would be the briefest part of labor? 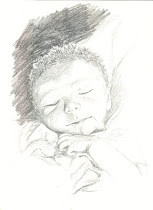 Once the epidural was placed, the whole energy in the room changed. The caption running beneath the picture announced she was at 10 cm and would soon be pushing for a long time before they actually had her doing anything. No one seemed to be in a rush to get started. For what it is worth, Lynsee seemed to push very well. The baby was born quickly. I tuned out after a few photos were taken because I felt this was a special time between baby and parents. From what I have heard from posted comments is that it took quite awhile for baby to be put to the breast and she was getting a bit frustrated. Poor little one! The positive things: Lynsee was able to labor actively until she got the epidural. She handled the contractions very well. She pushed effectively and she got a vaginal birth. The negative things: Lynsee obviously didn't get the support she needed to get through transition. She and baby seemed disconnected from each other after the birth. Lynsee, thank you for streaming your birth. I hope viewers learned a lot. Congratulations on the birth of your little girl. I hope you and your husband enjoy your new parenthood and that your daughter flourishes. The best advice I can give you is to follow your instincts. Don't follow schedules for feeding your baby. Spend as much time with her in your arms as possible. Babies thrive on touch. If you have another child in the future, I hope you can find the support you need to continue through labor. You were so close! You handled those contractions so very well! You should be proud of what you accomplished. If I could be your doula or midwife, I would let you know that those feelings you had were normal. That they are a sign of progress and that labor wouldn't last too much longer. I would try to give you more strength to help you have the birth that you wanted for yourself and your baby. I hope your breastfeeding relationship with your daughter is long and successful. You are a brave soul to put your experience out there for all of us to judge. Thank you.